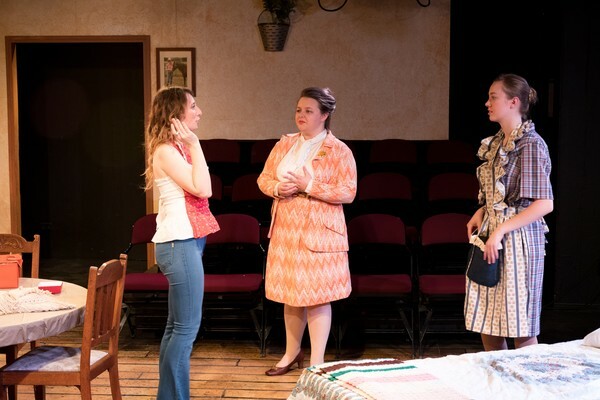 NACOGDOCHES, Texas - The Stephen F. Austin State University School of Theatre will close its SummerStage Festival with performances of Beth Henley's "Crimes of the Heart" at 7:30 p.m. Tuesday, Wednesday and Thursday, July 17 through 19, in the Downstage Theatre on the SFA campus. Pictured are, from left, theatre students North Richland Hills senior Cortney Francisco; New Diana junior Miriam Newman; and Gilmer junior Bethany Trauger. Call the SFA Fine Arts Box Office at (936) 468-6407 or visit finearts.sfasu.edu for ticketing information.